Posted on November 14, 2013 at 2:20 pm. The first thing you need to do is build your buyer persona – this is an holistic profile of your ideal customer. What are they really like inside and out – their goals, aspirations, motivations and pain points. Targeted Outbound media – unlike many Inbound Marketing specialists, Dialogue passionately believe (and have the case studies to prove) that Outbound Marketing (i.e. Press, Outdoor, TV, Radio) can get your Inbound Marketing strategy kicking with the right tailored content. Blog – use your blog to speak to the personas you have developed. Answer their burning questions and help them along their journey. Social Media – share highly relevant content. Create to relate! Put a human face and a personality to your brand. Keywords – know what your buyer peronas are searching for. Optimise your pages, create content and build links around terms that will appeal to them. Website – make it easy to find what your prospects are looking for / and what you are looking to sell them. So your prospects have now noticed you, you’ve struck a chord. Now you need to convert them into leads and customers. It is hugely important; no it is actually vital that you now get their contact info. This is an online marketers most valuable currency! But you will need to offer your prospect something in return for this valuable information, something they will value. Think ebooks, informative / educational short videos, whitepapers etc. 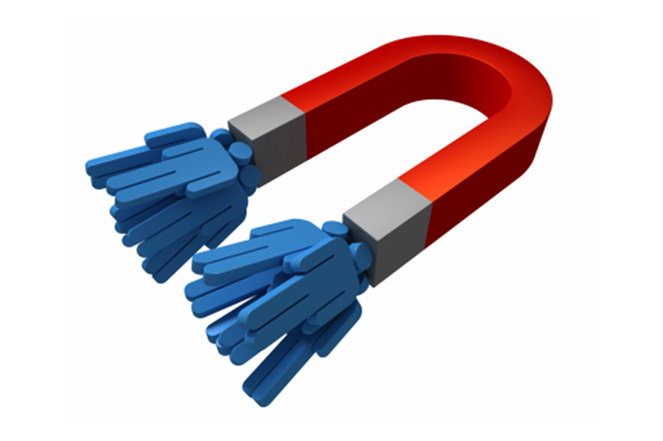 Landing pages – this is where they fulfil your offer, the place your potential customer gives their contact details. Once they fill in their information they now become a lead. We like leads! Forms – make the information gathering as easy as possible. We have tricks and tips to do this really well. Contacts – keep a central database of your leads. Having all your data in one place helps you make sense out of every interaction you’ve had with your contacts. It is really important you do this. Lead scoring –score your leads on their sales readiness. This is a useful tool for taking the guess work out of the process. Email & Marketing Automation – this involves sending a series of focused, useful and highly relevant emails. They need to be tailored to the needs and lifecycle stage of each lead. Their job is to build trust and help your leads become ready to buy. Closed-loop reporting – integration of your marketing efforts with your CRM system / sales team will insure you know which marketing efforts are bringing in the best leads and converting those leads into customers. 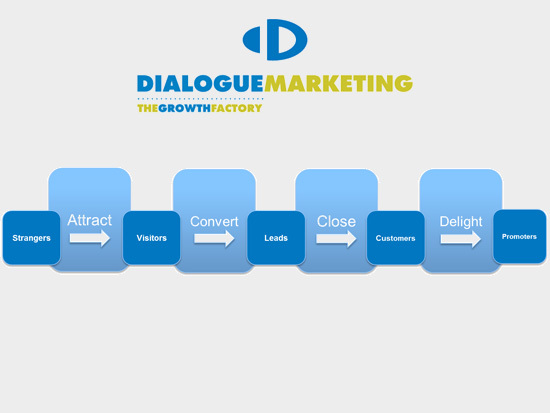 Inbound Marketing is all about providing highly relevant content throughout the customer lifecycle. Existing customers will drive your business if treated the right way. It is so important to continue to engage and delight them once they have become a customer – they will buy more from you and tell others all about you. Have smart, personalised call to actions – these are offers that change based on buyer personas and lifecycle stage. Social Media – use it for delivering real-time brilliant customer service. Email & Marketing Automation – relevant and useful communications that help your customers achieve their goals and do their job better. If you would like a hand putting your Inbound Marketing campaign together please give me a call or drop me an email.